This summer large tent sculptures take up central position at Kunsthal Bivouac. 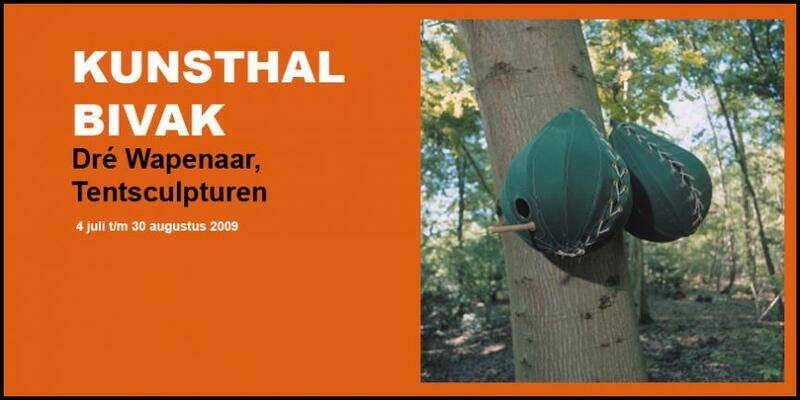 In the tree hall of the Kunsthal a survey exhibition with works by Rotterdam sculpture -and tent artist Dré Wapenaar is put on display for the very first time ever. Ingenious constructions which Wapenaar made of canvas, steel and wood trigger the imagination of both young and old people. His flexible architecture manifests itself in various forms and has a multitude of different functions. The exhibition consists of ten, both big and smaller, tent sculptures, amongst which tree tents, small birdhouse tents, market stalls, a shower tent (which can actually be used at the Kunsthal) and a newspaper stand. The creations that Wapenaar makes from canvas can be considered as being on the interface between architecture, design and sculpture. The splendid forms, organic structures and interiors of his nomad shelters invite the visitors to enter them, look outside through the canvas or create a personal place inside. Each tent has a clear function and is ready for actual use. 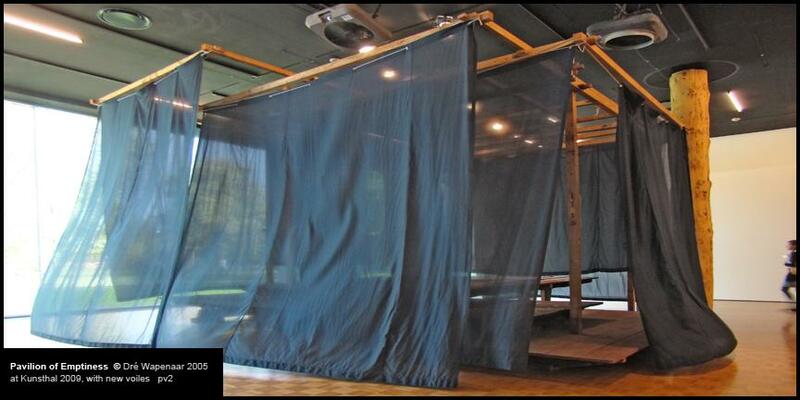 Visitors may climb into the tree tents, hanging like dew-drops from the tree. These tree tents are silent hiding-places within nature. On the contrary, the market stall tents made by Wapenaar from colourful, transparent cloths, present a variegated mixture of cultures and products. These tents were made for lively meetings. The newspaper stand, which has the silhouette of a communication satellite, has been furnished as a concentrated reading spot, while the ‘pavilion of emptiness' is constructed as a stage for contemplation and fantasy. With his tent sculptures Dré Wapenaar (1961) has been working on an impressive oeuvre for fifteen years. 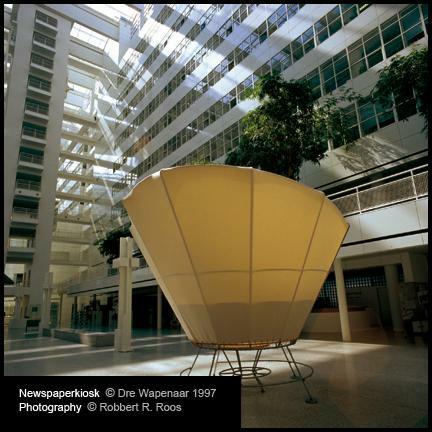 In 2005 he won the Hendrik Chabot Prijs, a prize for artists who are closely connected to the city of Rotterdam. The members of the jury admired his tents not only because they are marvellous sculptures but also because, at the same time, they have a social character due to their place both in, and outside the world of art. Photographs are made by Robbert R. Roos.